Please note that 2015 national and Pennsylvania rollover accident statistics have not yet been released. Please check back frequently for updated stats and facts on rollovers and roof crush occurrence. Passenger cars were in 3,383 rollover accidents in Pennsylvania in 2014, resulting in 81 rollover deaths. Light trucks, SUVs, and vans were in 4,127 rollover accidents in Pennsylvania in 2014, resulting in 104 rollover deaths. The percentage of light truck, SUV, and van occupant deaths was nearly 155% higher than passenger car occupant deaths. Passenger cars were in 3,691 rollover accidents in Pennsylvania in 2013, resulting in 109 rollover deaths. Light trucks, SUVs, and vans were in 4,074 rollover accidents in Pennsylvania in 2013, resulting in 106 rollover deaths. The percentage of light truck, SUV, and van occupant deaths was nearly 75% higher than passenger car occupant deaths. Passenger cars were in 3,741 rollover accidents in Pennsylvania in 2012, resulting in 122 rollover deaths. Light trucks, SUVs, and vans were in 4,021 rollover accidents in Pennsylvania in 2012, resulting in 118 rollover deaths. The percentage of light truck, SUV, and van occupant deaths was nearly 84% higher than passenger car occupant deaths. Passenger cars were in 3,759 rollover accidents in Pennsylvania in 2011, resulting in 113 rollover deaths. Light trucks, SUVs, and vans were in 4,095 rollover accidents in Pennsylvania in 2011, resulting in 134 rollover deaths. The percentage of light truck, SUV, and van occupant deaths was nearly 118% higher than passenger car occupant deaths. Passenger cars were in 3,918 rollover accidents in Pennsylvania in 2010, resulting in 132 rollover deaths. Light trucks, SUVs, and vans were in 4,155 rollover accidents in Pennsylvania in 2010, resulting in 143 rollover deaths. The percentage of light truck, SUV, and van occupant deaths was nearly 81% higher than passenger car occupant deaths. 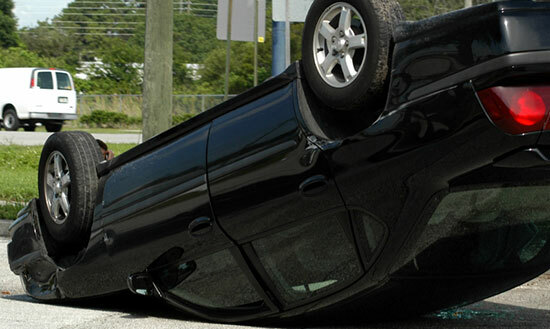 There were 8,267 people killed in rollover accidents in the United States in 2009. Of the 858 people killed in rollover accidents, 224 were killed in crashes occurring in Pennsylvania (26.1 percent). Rollover rates for passenger vehicles involved in fatal crashes were much lower in urban areas than in rural areas. More light trucks, SUVs, and vans were involved in rollover crashes than passenger cars, and the percentage of fatalities was nearly 70 percent higher than passenger car occupant deaths. Passenger cars were in 4,420 rollover accidents in Pennsylvania in 2008. In 8.5% of all light truck, van, and SUV crashes in Pennsylvania in 2008, the vehicle rolled. In 2008, 5% of all passenger car accidents were rollovers in Pennsylvania. In 2008 rollover crashes in Pennsylvania, the percentage of light truck/SUV/van occupant deaths was nearly 70% higher than passenger car occupant deaths. 8.7% of light truck crashes involved rollover accidents. 5.0% of passenger car accidents involved rollovers. In 2007 rollover crashes, the percentage of light truck occupant deaths was almost twice as high as passenger car occupant deaths (40.6% to 17.9%). 8.1% of light truck crashes and 5.0% of passenger car crashes involved rollover accidents. The percentage of light truck occupant deaths was almost twice as high as passenger car occupant deaths (39.5% to 20.8%) in 2006 rollover crashes. Rollover car accidents were involved in 8.6% of light truck crashes and 5.2% of passenger cars. In rollover crashes in 2005, 36.8% of light truck rollovers involved an occupant death compared to 21% of passenger cars. Please visit our ATV and Four Wheeler accident page for ATV accident statistics.